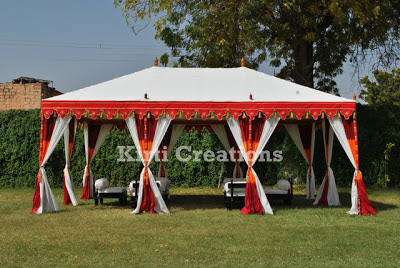 We design the amazing wedding tent which is easily constructed in the lawn. It is huge and resilient covering having eye-catching lamps which improve its elegance. 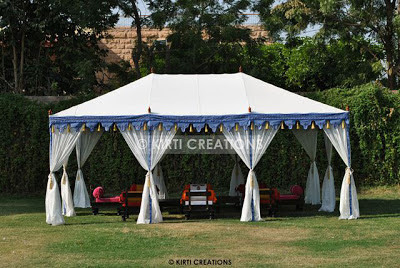 We provide the exclusive wedding tent in hut formed design.We made this covering with top quality product with water proof functions. 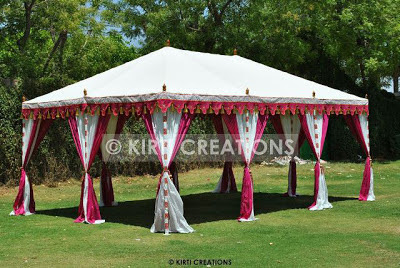 We design the fabulous unique wedding tent having wonderful folded curtains and from various type of canvas in different pattern. We create this luxury tent with the use of waterproof fabrics. The collapsed drapes of this covering from the north and south poles and hut form ceiling improve the appeal of this covering. It is quickly constructed in the lawn. 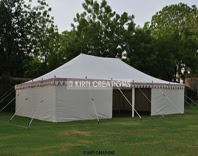 We use the very top excellent of raw components to make of creative wedding tent. 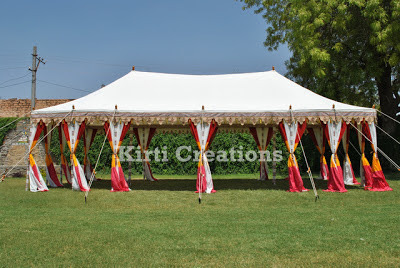 We use the best quality of fabric in making of splendid wedding tents for durability, its Assembling and dismantling process is easy and it is ideal for high level of gathering. We style this covering in great shade mixture of fabric. It is easily assembled and dissembled in the garden. Its design design and shade mixture shows its true elegance. 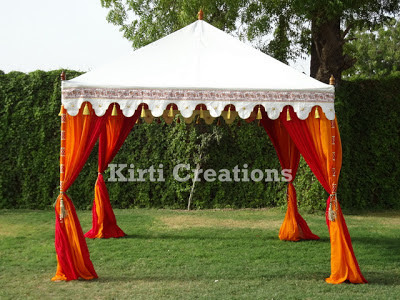 This tents is presents itself in white, orange and white color of canvas, after we mix these color it shows the real beauty of this tents.We made this artistic Indian Garden Tent which is suitable for all party. In our Indian garden tent is stands in the spacious place. It can be easily assembled. 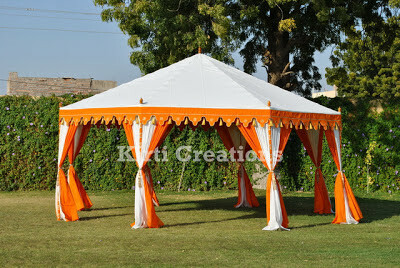 We made this tent with hut shape design with the use of execellent quality of materials. 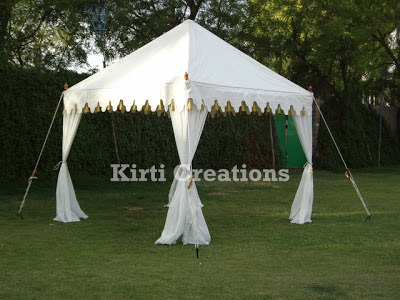 We manufactured the handcrafted garden tent which is pitched on the ground and it is easy to set up. 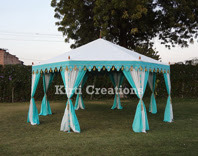 We provide this tent in vivid color. It can be set-up and dismantled anywhere easily . It is closed from the back side and open from the front side and its printing is also very beautiful in look. 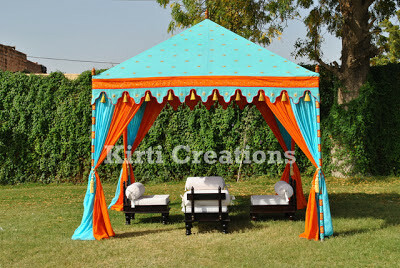 We designed monolithic garden tent with brilliant color combination of canvas which has waterproof. 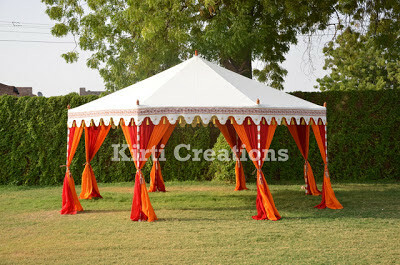 This garden tent is round in shape and has top pointed roof with white and orange color of canvas. It is made from quality fabric which is water proof. 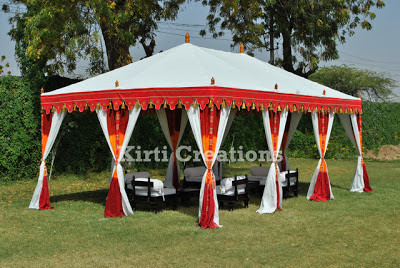 We design this type of Garden tent in white and red color of canvas which give the bridal look to this tent. 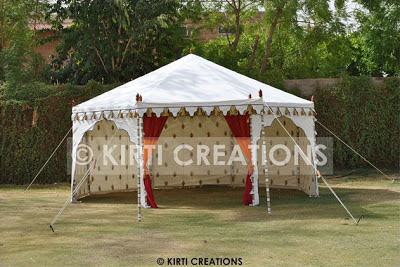 This tent is easily erected in the spacious place and accommodated large number of people. This is specious and easily set-up in the garden .We presents this garden tent in wonderful pink-white color combination of canvas which is waterproof. This tent is fixed with rope is fastened on each pole to provide extra strength to the tent. This is an all side open garden tent with a pointed top and four poles with its great stability. 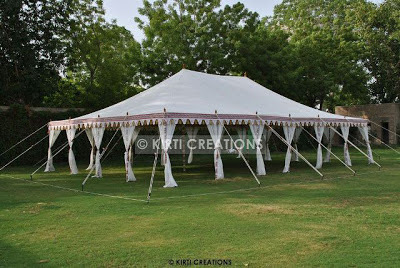 This tent is perfect for big and grand parties and easy to set up. 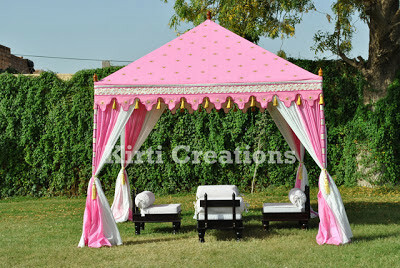 We design special garden tent as a hut shaped having large space which is stand by poles and supported by side ropes. It is spacious and easy to assembled. 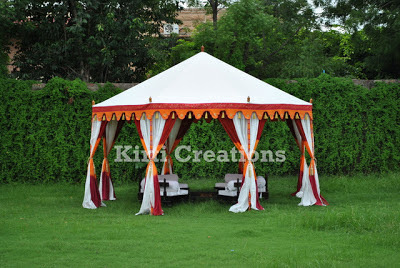 We present the hut shaped imperial garden tent which is supported by side ropes. Its color reflects its real beauty and attracts people towards it.